Here are some of the games created by us at Black Harbor Games. Coming soon: downloadable print and play games on DriveThruCards.com and associated sites. 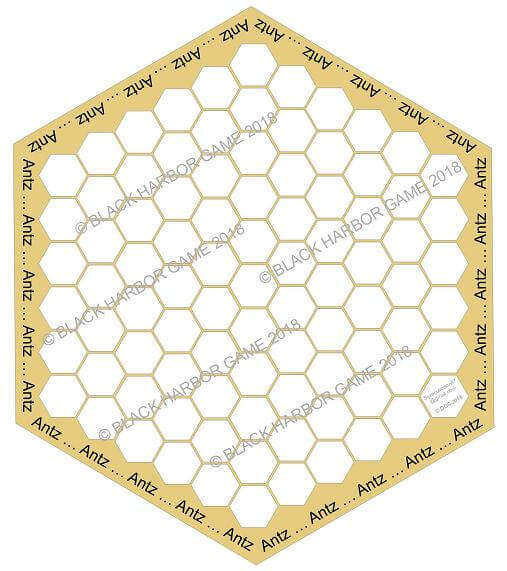 And here below we have some insights posted to let you know what’s up at our place, Black Harbor Games. Let us know what you think of these games. These are early versions of some of the games that we worked on earlier this year and which we plan to make available in the fall. Let us know what you think of them. We’d love to hear from you. ANTZ is a territorial occupation game suggested by the game of GO (GO_MAKU). It is played with a quantity of colored chips representing the head, thorax, and tail of each ant. The ants are taking over a honeycomb and the object is to create or capture more ants than your opponent. 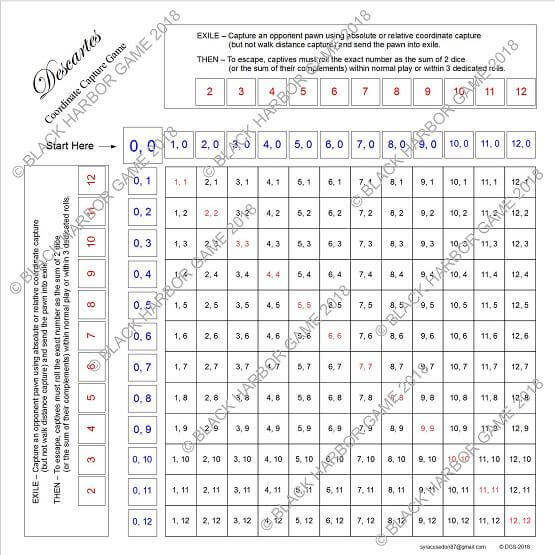 DESCARTES is a seek and capture game where dice rolls establish the coordinates where you may travel in search of valuables (tokens) which you collect. The player with the most tokens wins the game. 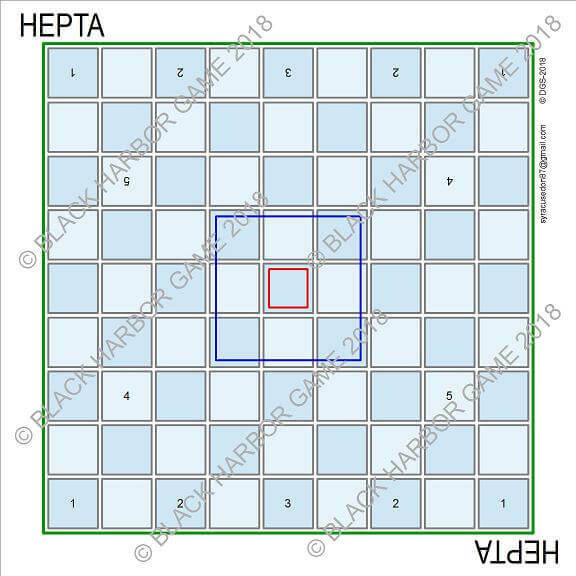 HEPTA is a strategy game played on a checkered board somewhat in the style of chess. Each pawn has a set value and may capture only at or below its own value. But when a capture is made, the capturing piece increases in value and gets stronger. Movement is restricted to the number of squares equal to the current value of a given pawn and this also changes each time the pawn captures another pawn. Any one of a set of end game conditions determines the winner. 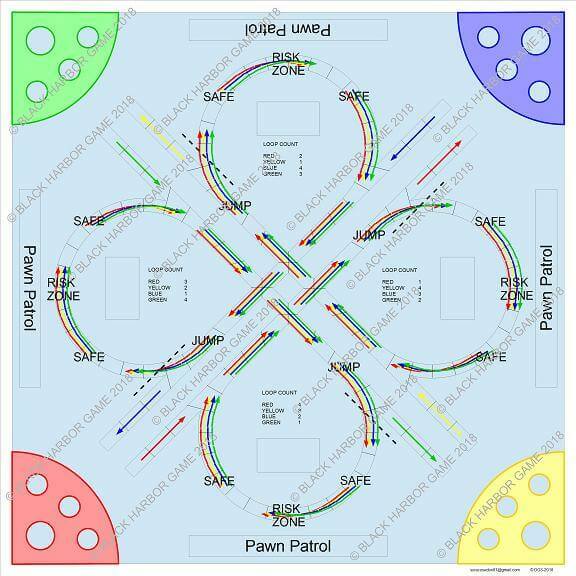 PAWN PATROL is a game in the Pachisi family (Parcheesi, Sorry, Trouble, etc.). The object of the game is to be the first player to get your men across the board (around all 4 clover leaves) and into the opposing home territory. A set of cards and several of the game board spaces themselves each hold extra rewards and punishments to add to the excitement.